A recording of Andrew Schultz’s Paradise – Five Songs for soprano, cello and piano, Opus 95 (2013) has been given a digital recording release by the three outstanding performers who gave the work its premiere in Paris in August 2015: Felicitas Fuchs (soprano), Li-Wei Qin (cello) and Bernard Lanskey (piano). This new recording was made at NUS in Singapore in October 2015 with Zhou Xiaodong the recording’s engineer and producer. 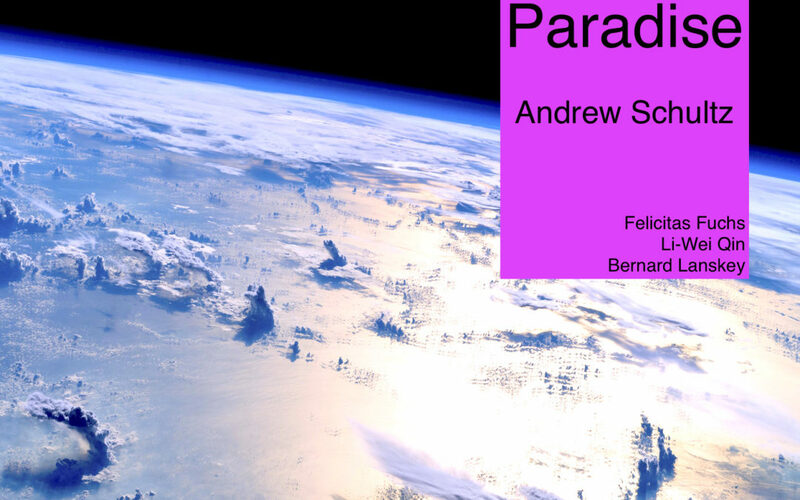 Paradise was a finalist in the 2016 Art Music Awards and Highly Commended in the 2016 Paul Lowin Awards and consists of settings of the composer’s own texts. The recording is available for sale and streaming on all major digital platforms including i-Tunes, Deezer, Spotify and YouTube. The release date of the recording is 6 January 2017 and the catalog number is Sedition 8.